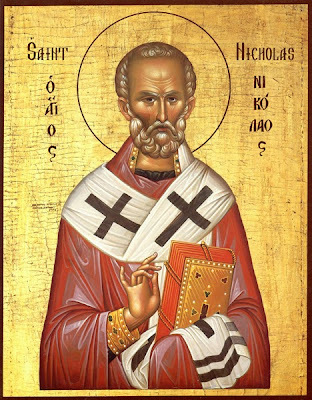 December 19th is the feast day of Saint Nicholas the Wonderworker! We congratulate all Cossacks whose names day is celebrated on this day! On December 14, 2014 the Cossacks of Stanitsa Nikolskaya gathered together for divine liturgy and following service held their administrative krug of 2014. The krug started with a prayer, and continued with the report of Ataman Konstantin Samokhin, who served his term of four years from 2010. The Cossacks of the Stanitsa accepted Ataman's work and proceeded with the elections for term of 2014-2018. The Cossacks debated the positions and have voted in Konstantin Samokhin as Ataman of the Stanitsa and Dimitry Bagaydin as Vice Ataman of the Stanitsa. Cossacks Go Horseback Riding in New Jersey! It's In Our Hands Article by Temerev. The efforts of Cossack national activists are aimed at restoring the rights of our people and have a long history. It is therefore unclear how much longer we are able to fight. At the very top of the Cossack elite, there is a saying that is best described as “Do not give into anything that is not Cossack!” They believe the recognition of the Cossacks as independent people, will lead to adverse political consequences, at the same time, no recognition will pose no threat. Many Years to the Ataman of the Cossack Congress in America Iegor Brun de Saint Hippolyte! The Cossacks organizations, stanitsi, and communities of the Congress would like to congratulate Ataman of the Cossack Congress in America Iegor Brun de Saint Hippolyte with his birthday today! We all wish you wisdom, health, and many years! 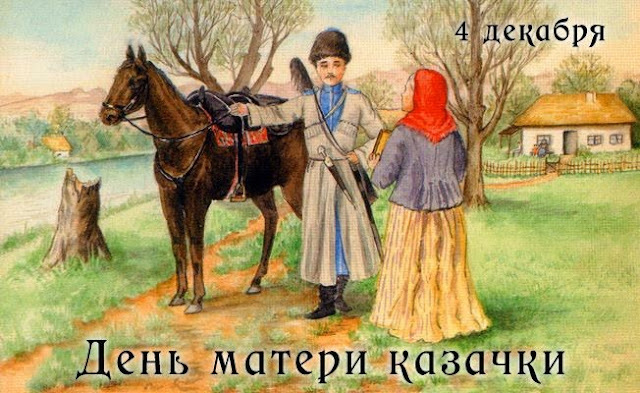 December 4th Celebrates the day of Mother Cossacks! The Cossack Congress in America would like to thank and congratulate all mother Cossacks and wish them many years! Congratulations To Ataman of The Stanitsa Nikolskaya On Becoming A Father! Congratulations to Konstantin Samokhin, Ataman of the all Cossack Stanitsa Nikolskaya on becoming a father. His wife gave birth to a beautiful baby boy on the night of December 1st, 2014. We wish Konstantin's family many years! When Cossack genocide is mentioned today, we usually remember the well-known executive order of January 24, 1919, followed by the practice of the physical extermination of the Cossacks. Prior to the adoption of this directive, and after its abolition, the flywheel of terror rotate, taking innocent lives of our people, even when it was not so apparent. Seeing the destruction further mobilized Cossacks to give their struggle a new purpose of surviving. This is the exact reason that the current Russian government has become more cautious in their statements in regards to the Cossack people. Georgy Borisevitch Popoff was born in Russia on Feburary 25, 1920. Throughout his life, Georgy has done much for the Cossacks. He was a member of the Leibgard Cossack Polk, and also a member of the Union of Cossacks which was founded in 1924 by Ataman Bogaievksy. Georgy was also a former Honorary Counsel of France in La Spezia.